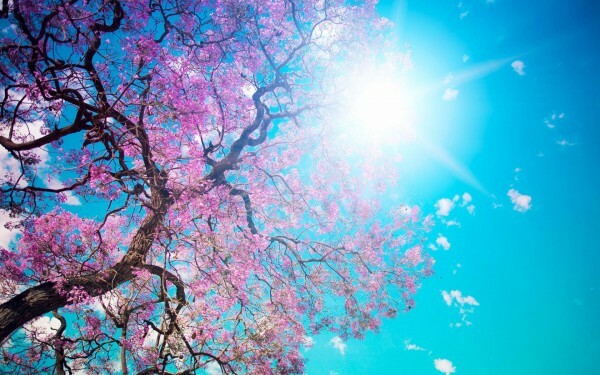 I have been waiting for May every day of my life and when it’s finally here, I live each day with joy delighting my senses with the distinctive taste of cherries. I dream of cherries all year long. Between me and you, in May… I live for cherries; and I believe that cherries live for me and for you also. They are sweet, juicy, colorful, full of vitamins, minerals and enzymes, as if they are drawn from a children’s story with rosy cheeks. What else can you wish for? 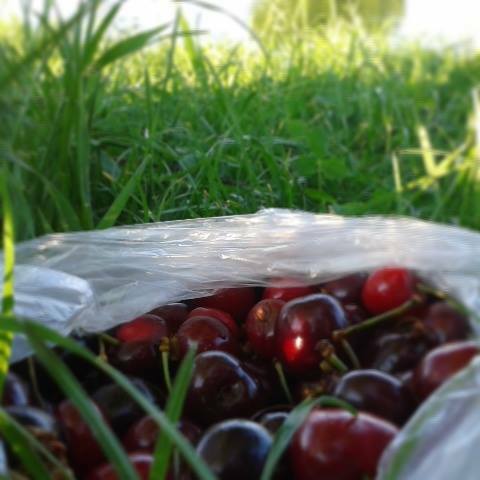 !… A delight for the body, mind… and soul, because cherries bring to me a lot of joy. But let’s know them better, deeper, beyond their perfect taste with the sweet fragrance of spring-summer, beyond colorful market stalls and price per kilogram. Cherries open the local fruit season, the season with flavored fresh fruits… and this begins somewhere in mid-May. I learned over time that in nature nothing is accidental, nothing is accidental in general, but much less in nature, which is why I realized that cherries have their own well defined role, which is to open the way to the regeneration season (physical, mental and spiritual). 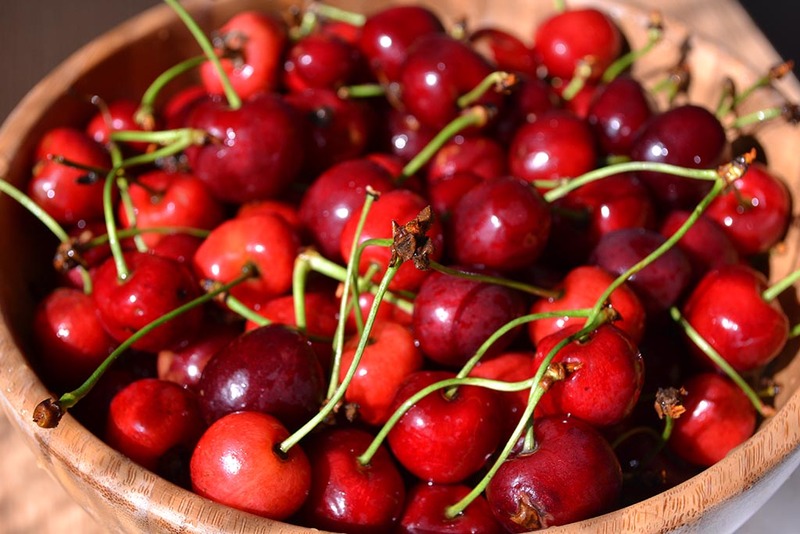 After the cold season, here comes the queen of fresh, ripe and local fruits: CHERRIES. … And why to minimize their beauty: Cherries are the most beautiful earrings to wear, beyond any fashion and style. They fit perfectly on outings, on the seashore at sunset and sunrise, both for the left and right ear; for children and for ladies who have not forgotten to have a good time. It is very important to consume fruits, vegetables and legumes, locally grown as much as we can, that does not compare to any other food brought from overseas or processed in so many different ways. Besides all the issues that I mentioned above we should not forget that we are resonating best with the food that is grown in the area where we were born, from the energetic point of view and that we are assimilating more easily and almost without any effort all of the nutrients and the vital energy found in locally produced food. … It’s May! It’s my perfect month that I wait for, every day… so have a great appetite and good inspiration for the earrings!